After about a two year hiatus from painting, I'm finally starting a new canvas. It feels good to work with paint again. I found the hardest part was getting started. The first evening I brought the canvases and supplies out from storage - can't do anything without those. I was definitely inspired by my recent trip to San Francisco where I took hundreds of photographs. Next I had to narrow my inspiration and find a photo or two that I could use as a reference. I wanted something interesting, but not too detailed. I decided on merging two photos together. 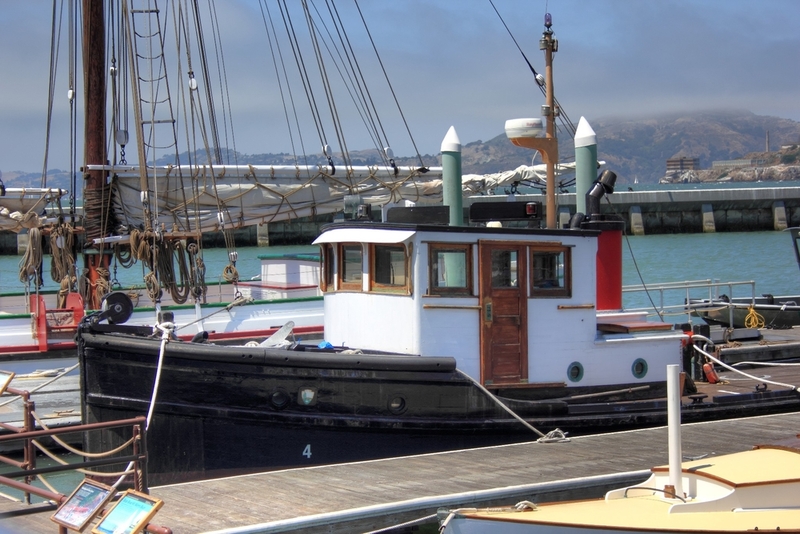 I really like the picture of the boat, with Alcatraz in the background. Alcatraz is really small in this picture. I have another picture of Alcatraz with much more detail. Here are the two reference pictures. Each step of this project I'll post an update.